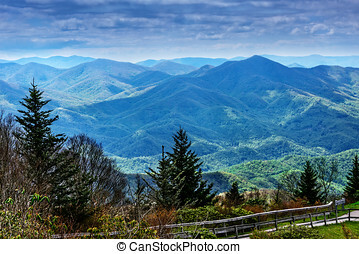 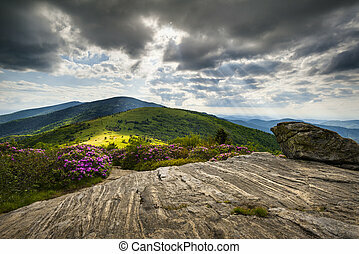 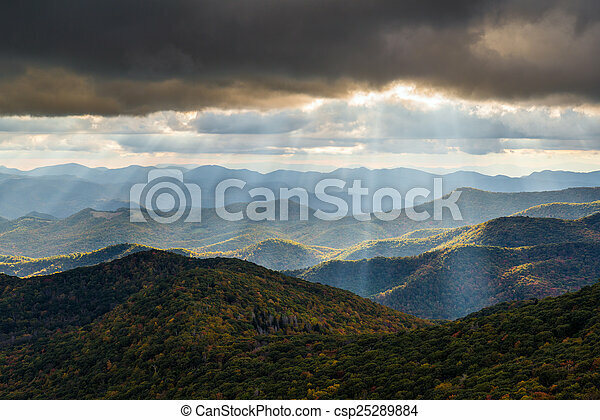 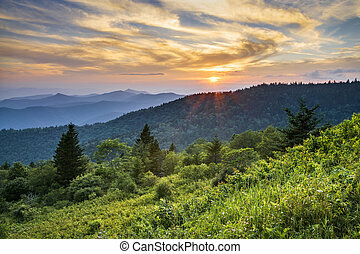 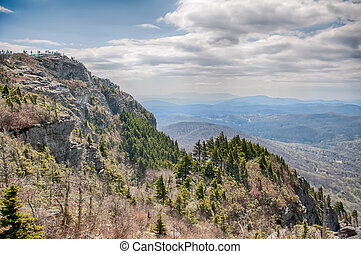 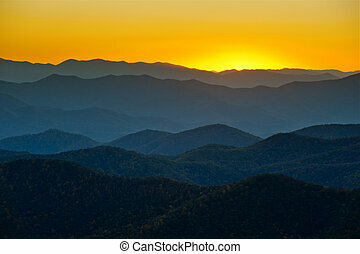 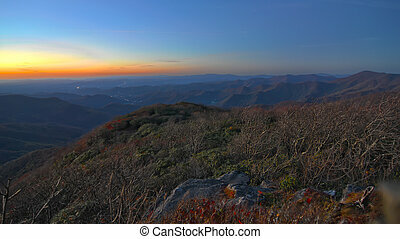 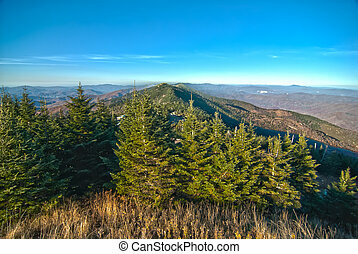 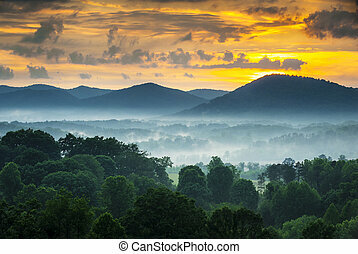 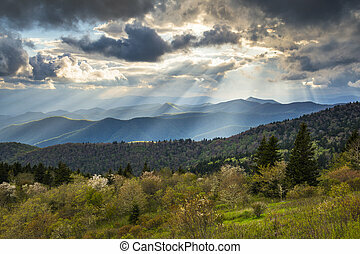 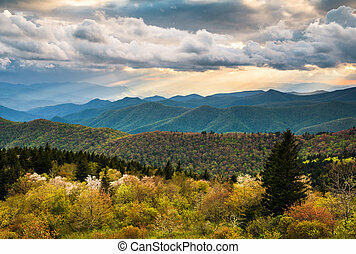 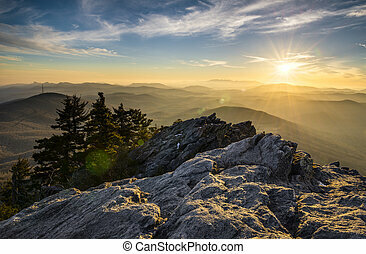 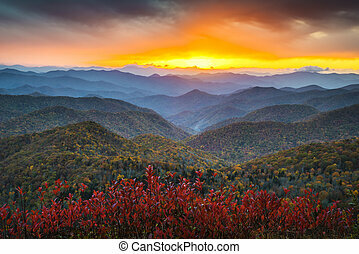 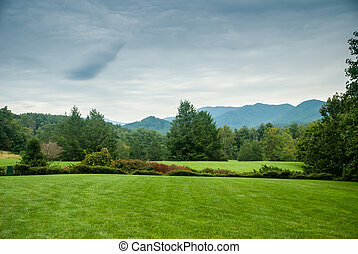 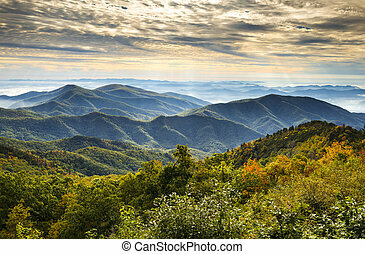 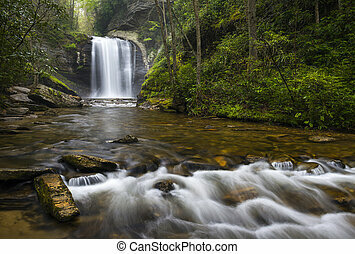 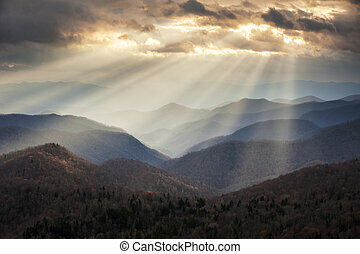 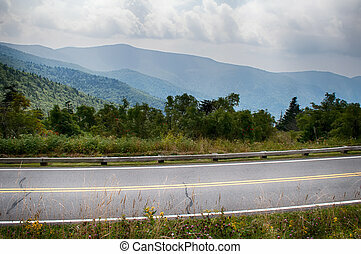 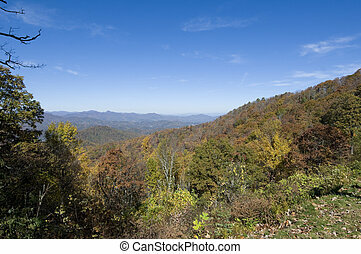 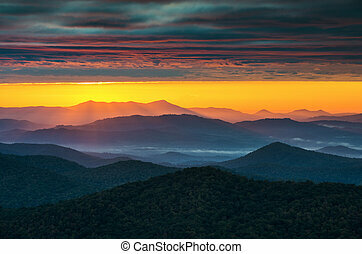 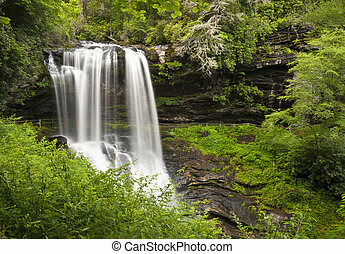 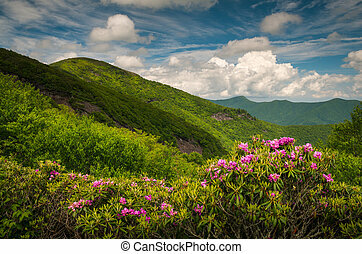 Appalachian mountain landscape western north carolina blue ridge. 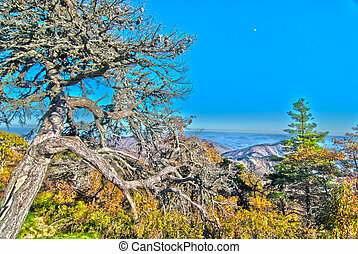 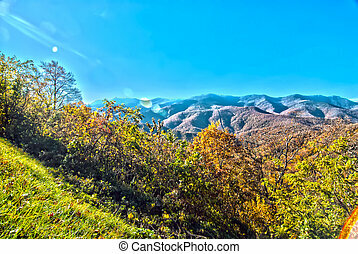 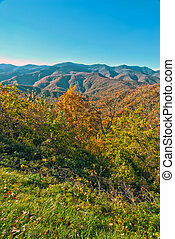 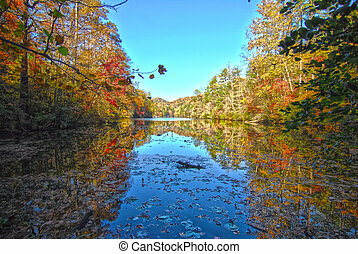 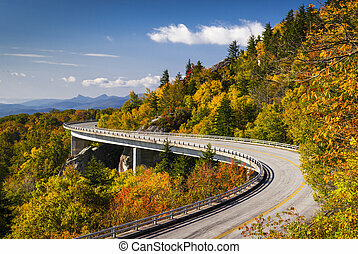 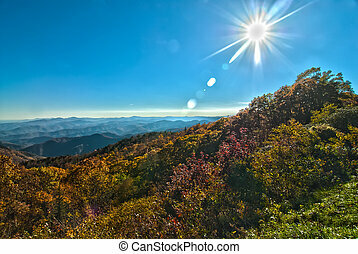 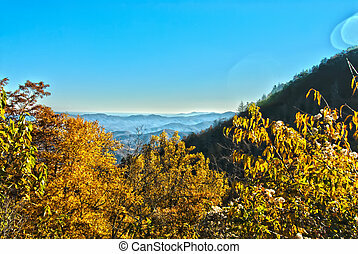 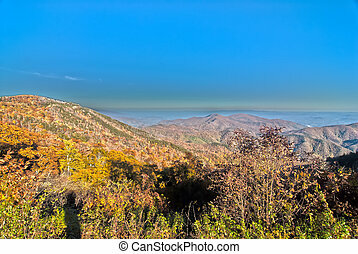 Appalachian mountain landscape in western north carolina blue ridge parkway autumn outdoor scenic photography. 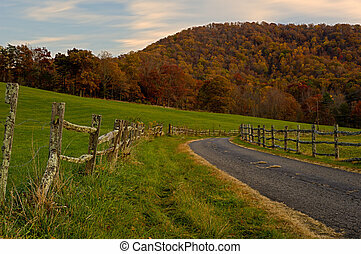 Old country road winding by a fence in the mountains of western North Carolina near the Blue Ridge Parkway during the autumn season.